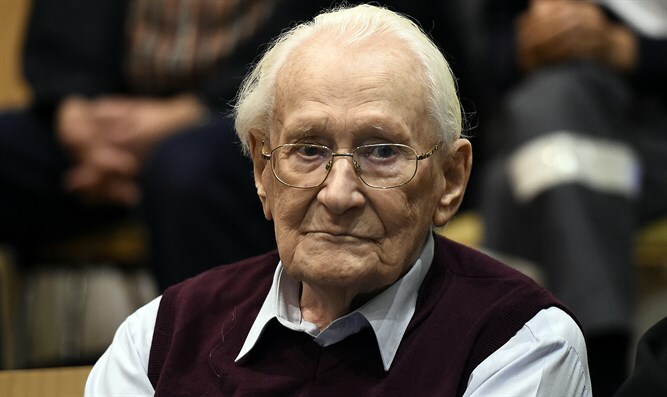 Prosecutors in German state of Hanover say that a 96-year-old former Auschwitz guard is fit to serve his 4-year prison sentence. Prosecutors in the German state of Hanover say that a 96-year-old former Auschwitz guard is fit to serve a prison sentence. Oskar Groening was convicted and sentenced in July 2015 to four years in prison for his role in the murder of 300,000 Hungarian Jews at the camp in Poland. A federal appeals court rejected his appeal in November. A doctor who examined Groening found him fit to go to prison with appropriate medical care, a spokeswoman for the prosecutor’s office told the Associated Press. The prosecutor’s office then rejected a defense request to excuse Groening from going to jail. Groening has remained out of prison first for the appeal and then for a decision on his fitness for prison. A date for Groening to enter prison has not yet been set. The first investigations of Groening took place in 1977, but it was only after the successful trial against convicted Sobibor guard John Demjanjuk in 2011 that the courts were emboldened to try camp guards on charges of complicity in murder.